Camp No Limits is the only camp for young people with limb loss & their families, creating a network of support for all the campers. Camp No Limits offers therapeutic programs with specialized professionals, including physical & occupational therapists, prosthetists & adult amputee role models. Each camp is unique, but overall there are generally five programs offered each day (see below). Event opportunities vary depending on the camp location & season. You can learn about each location’s unique features under Dates & Locations. All activities incorporate family members as well, with specific group sessions for siblings & parents when appropriate to address the needs of families living with individuals with limb loss. 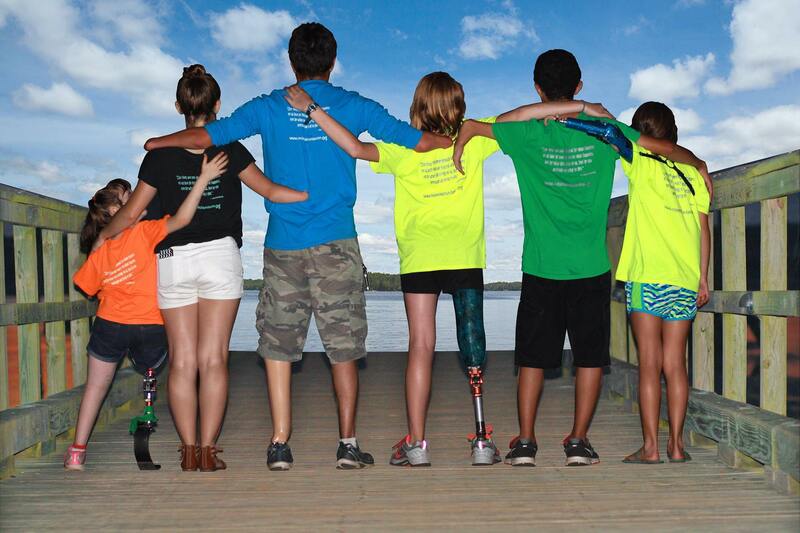 WHY DO WE SUPPORT CAMP NO LIMITS? Having a child with limb loss can be expensive, draining physically and mentally. Sometimes it’s just hard for a child to stay up-beat. Camp teaches these youth that they can do anything they put their minds to and gives them confidence. Supporting these youth, shows them a brighter future and helps everyone realize that there truly are no barriers to making a better tomorrow. them to CAMP NO LIMITS for approximately 10 years. This effort started when Peter Fenn, an amputee, PGA Life Member and a long time West Seneca Rotarian founded the amputee golf tournament to support camp scholarships. West Seneca Rotary has taken over the management of the tournament and looks forward to sending even more kids to camp. Interested in more information or have a child to send to camp? Do you know a child we can help make a difference with? We are always looking to send more kids to camp. Please let us know who to contact or have them contact us!